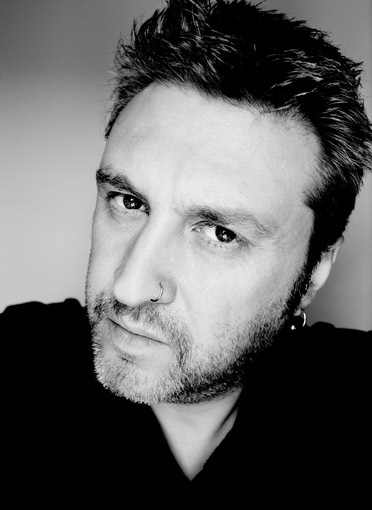 PAUL HARRIES is a renowned London-based music photographer most known for his work with a wide range of bands - over the course of more than two decades, if a group has emerged that are loud and proud of it chances are its members have stood in the frame of this man’s lens. Armed with a valid passport, his faithful Canon and a keen eye for detail, Paul Harries has amassed a portfolio that amounts to nothing less than a music fan’s dream. As a respected freelance photographer, Paul has closed his shutter on such luminaries as Nirvana, Muse, Green Day, Metallica, Biffy Clyro, Ozzy Osbourne, Red Hot Chili Peppers, Blink 182, Slipknot and recently James Bay, Craig David, Tinie Tempah, Johnny Marr, to name just a few. Over the past few years Paul has exhibited his photographs in prestigious venues in London, Manchester and Los Angeles. His book, "Slipknot: Dysfunctional Family Portraits" is out now. Paul's most recent exhibition "Access All Areas" ran from 9th March to 21st May 2017 at Proud Camden.